On his website, Raphael provides a series of lectures and corresponding notes . The notes for each lecture can stand alone and be used to narrate the lectures. Teachers and students are able to modify these lectures and notes for their specific use. Additionally, Raphael provides a series of blogs that are meant to "translate" complex science so anyone may understand the information. In the future, Raphael plans to add more lectures and notes to his website to increase the scope of the topics covered. These lectures are foundations for lesson plans that will become independent curriculum units focuing on scientific topics in ecology, evolution, and conservation biology. 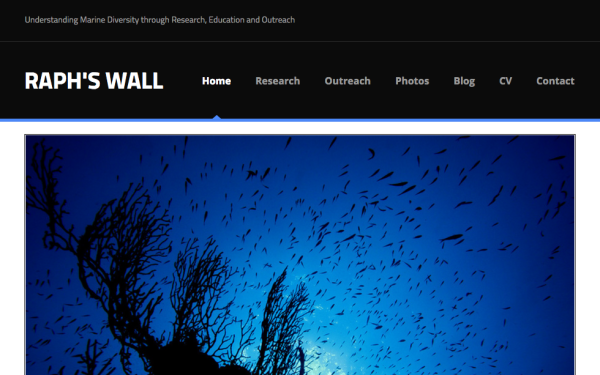 The goal of COR(AL)OHA, is to provide captivating, interactive platform to highlight the beauty and diversity of coral reefs. Educational materials are designed to accommodate all educational levels and can be used for immersive lesson plans, or explored just for fun! 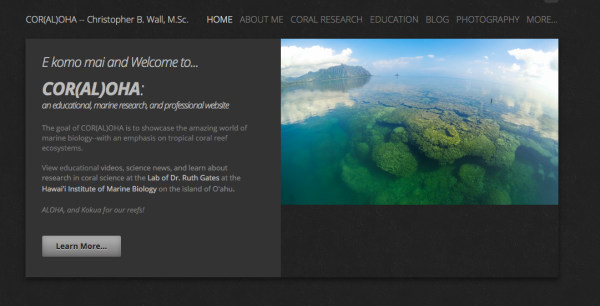 Additionally, his website hosts a variety of learning materials including interactive 360-panoramics and "virtual reality swims", educational videos, photogrammetry and digital transects, brief coral science lessons, a research blog... and more! In the future Chris plans on building these educational resources into specific lesson plans and produce short videos on newly published research in the Gates Lab.